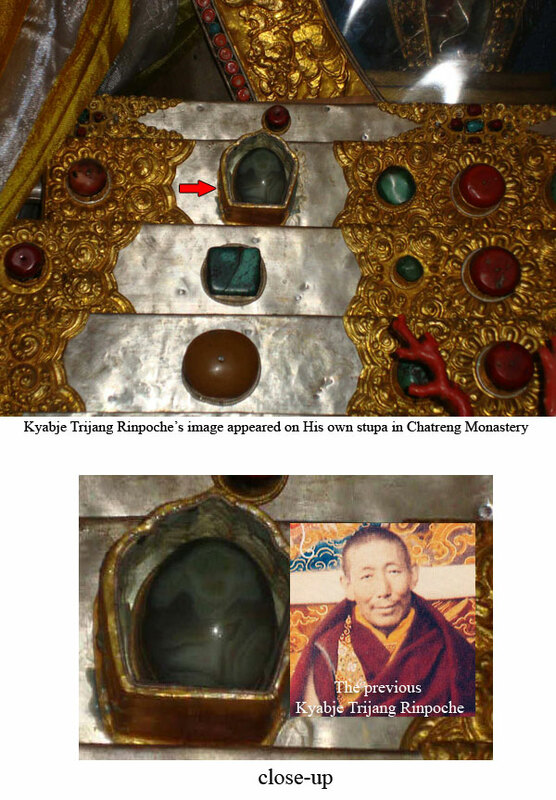 The picture below shows Kyabje Trijang Rinpoche’s image appearing on a marble on His stupa. Apparently the image appeared on its own, naturally, and people in that area started to notice it and it became a widespread miracle since then. ATTENTION! Invitation to all Dorje Shugden Practitioners! This entry was posted on Thursday, January 26th, 2012 at 5:11 pm	and is filed under News. You can follow any responses to this entry through the RSS 2.0 feed. You can leave a response, or trackback from your own site.